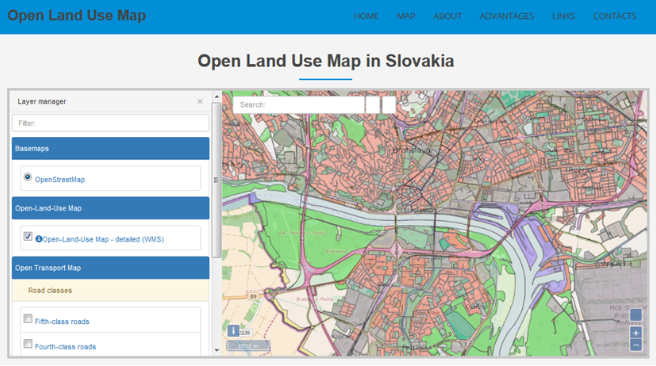 The idea is based on extension of the existing CZ and LV Open Land Use Map with contribution from Slovakia and align underlying data with INSPIRE exchange standard. Results of this pilot can be reused for the further activities in connection to the DRDSI project where additional countries expressed their interest for this initiative (HU,RS,RO,DE, ME – as observers). 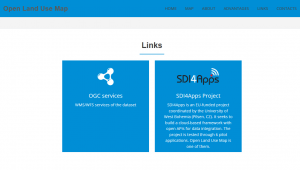 The Open Land Use Map is an initiative started by the European project Plan4business and currently developed in the SDI4Apps project. The idea is to make a pan European map of land use as detailed as possible, depending on open data availability. The key feature is that data are open. It is envisaged that data will be updated using crowdsourcing. People will be able to update land use data in the field using a special app. Update will be also supported by imagery data from the Copernicus. There are several pan-European datasets including land use information. These are mainly Corine Land Cover and Urban Atlas produced by the European Environmental Agency within the Copernicus programme. However, the level of detail of these datasets is quite low. Another downside is that Urban Atlas covers only major urban zones and completely excludes rural areas. There is a demand for seamless land use data with higher level of detail. This demand was expressed during the user requirements workshops in Plan4business and led to the creation of the Open Land Use Map initiative. 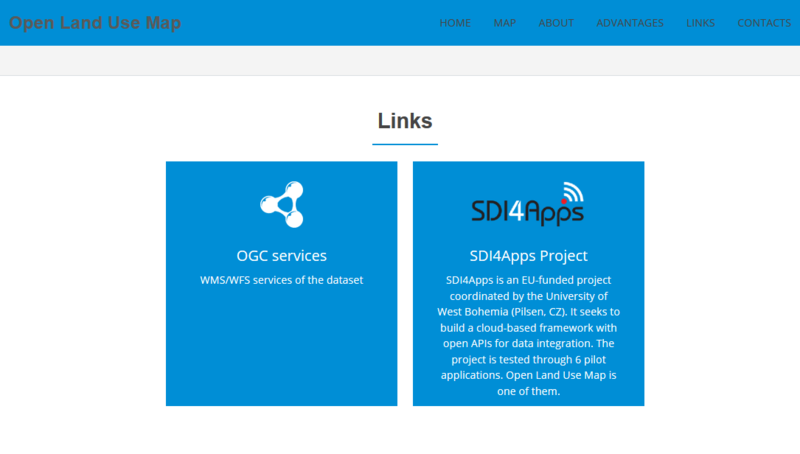 The map is currently used for transport related applications in the OpenTransportNet project. At the same time EU member states as well as some neighbourhood countries are willing to deliver INSPIRE compliant datasets via services fulfilling requirements of various national and crossborder use cases. This is also the case for Slovakia, where despite the initial effort to identify datasets falling under the scope of SK INSPIRE Land Use, real transformation did not take place yet. In addition to that new promising semantic technologies driven also via Open Data movement offers enrichment of the information via Linked Data approach, which could be also under the scope of the pilot with investigation of possible links to the national (SK INSPIRE Linked Data, Slovpedia) or international resources. The use is also foreseen in many other areas including real estate investments (identifying brownfields), ecosystem services evaluation, spatial planning, water management and water quality, renewable energies and landscape monitoring and management. All available open data from a certain territory are collected and stored in a database. 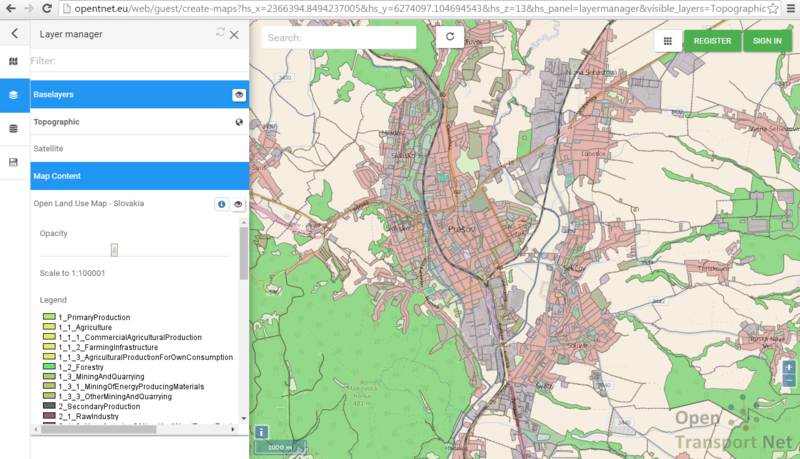 These data are harmonised into a common data model based on the INSPIRE data specifications on land use and using the same HILUCS classification . Data of the highest level of detail (usually not covering the entire territory) are combined with data with second highest level of detail and so on (see the figure below). Data are published for download and as a WMS service. Data are updated through crowdsourcing, either online based on remote sensing images or directly in the field through a mobile application (not yet implemented). The Open Land Use Map can reuse INSPIRE data when available. 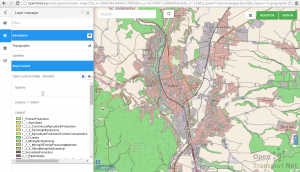 Mainly Land Use and Land Cover spatial data themes can be used.